Since upgrading to a new phone (the LG G4) I've been taking more photos than normal since I now have a phone with a better camera than my previous Galaxy S4. So please forgive my photo spamming this Summer. 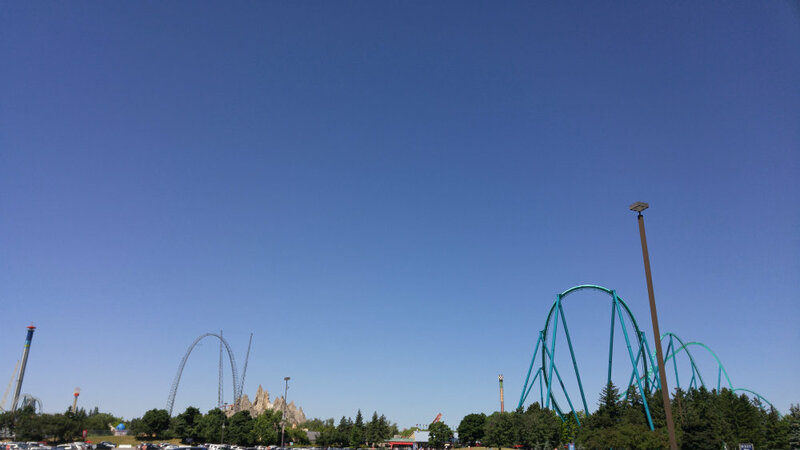 I squeezed in a last minute trip to Canada's Wonderland with a friend last week. It was so much fun, though I forgot how nauseous rollercoasters can make me. It was still a great day though and it ended with an amazing funnel cake and a drive home filled with singing in the car. 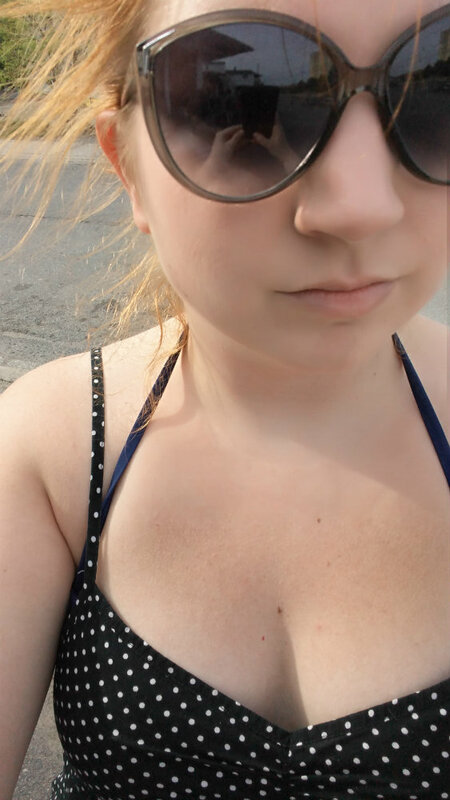 We've already been to the beach a couple times this month and it's been beautiful. One night we just went in the water up to our knees but last weekend we went right in and the water was surprisingly warm. 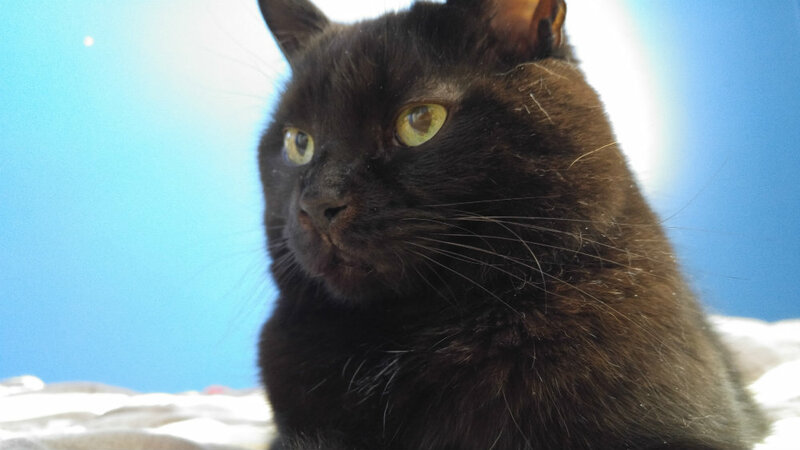 So this picture happened because I didn't realize my camera was in 'selfie' mode. 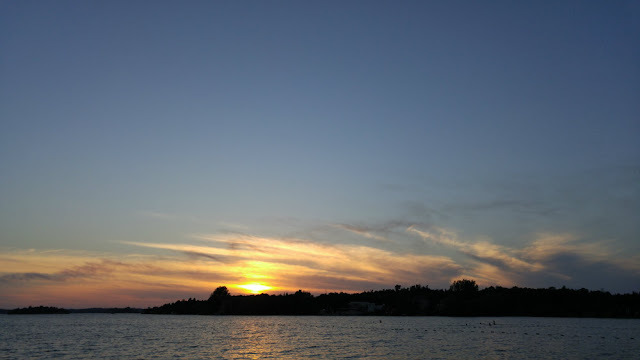 I thought I was taking photos of the lake. I was super confused on our drive home looking through photos. 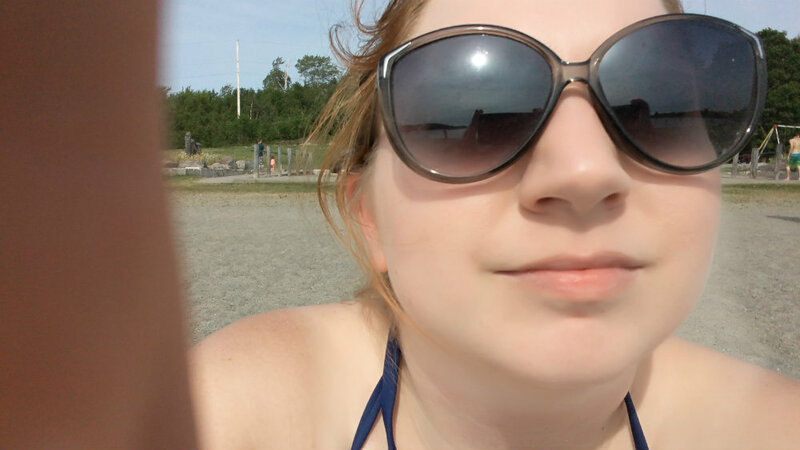 It was too sunny to see the screen when I was taking the photos so I had no idea I was getting pictures of myself. 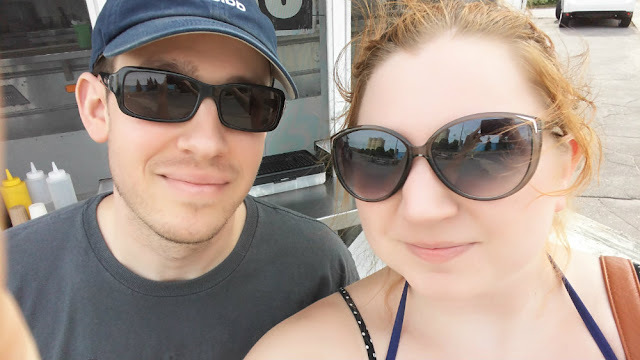 We hit up Silver Bullet for burgers and fries after our beach day and it was delicious. It's easily one of my favourite places to grab food in the Summer. 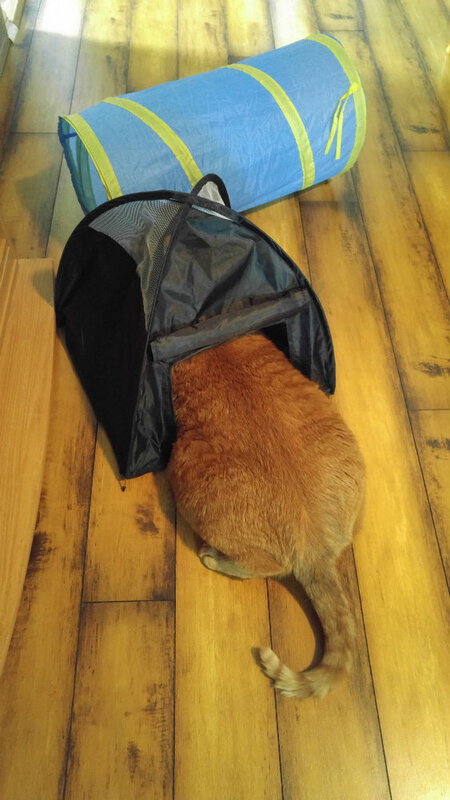 Seymore being a dork 'hiding' in his tent. After rewatching the first Teenage Mutant Ninja Turtles movie I had to find green nail polish like Megan Fox's in that movie. 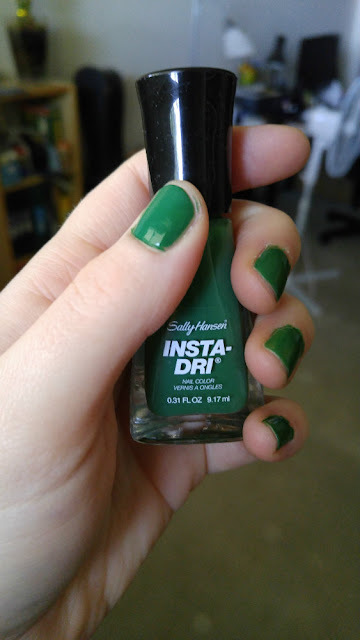 I found the perfect shade and I'm obsessed! Trades I'm reading right now. 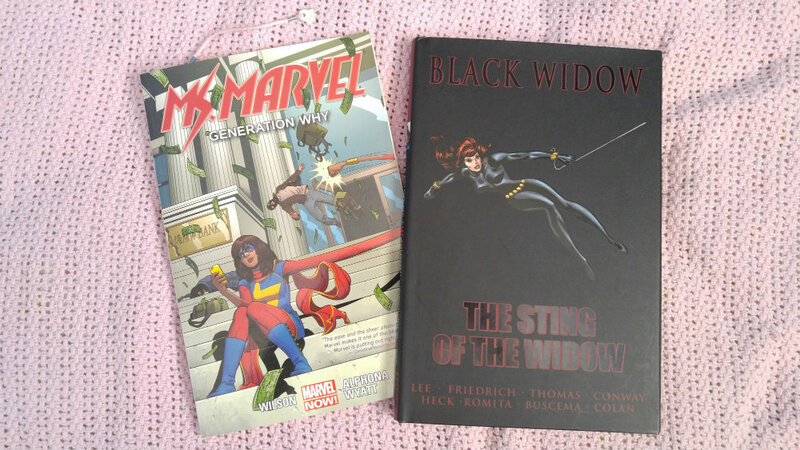 I picked up the Black Widow book at Graphic-Con earlier in the month. S'moreos have made their way to Canada! Though, I've only spotted them in one store (Shoppers Drug Mart), which is odd since it's a drugstore. But I won't complain. 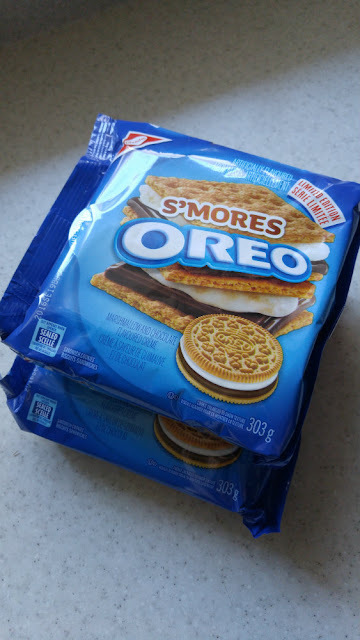 I got s'moreos for the Summer. 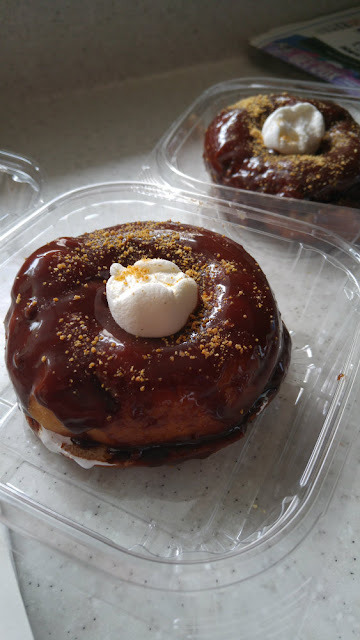 Speaking of s'mores, Mighty Canadian Doughnuts had s'mores as their flavour of the month and it was so good! The doughnut was cut in half, marshmallow spread was put in between, then Hershey chocolate is melted on top with a marshmallow in the middle. Yum! How was June for you? I'm pretty excited for upcoming plans for the rest of the Summer. It's turning out to be a pretty great couple of months. I love that green nail polish!